Both the Chinese and Indian press notes, using similar language, said that the two countries have the “maturity and wisdom” to handle their differences through peaceful discussions and by “respecting each other’s concerns and aspirations”. New Delhi: After spending nearly nine hours in each other’s company, the first ‘informal’ summit between Indian Prime Minister Narendra Modi and Chinese President Xi Jinping concluded on Saturday with a commitment to tell their militaries to talk more to each other to prevent ‘situations’ at border areas and a promise to maintain “strategic communication”. In the run-up to the April 27-28 events, both sides had stressed that the ‘informal’ summit was to discuss larger issues without any set agenda and without the accompanying protocol of an elaborate diplomatic event. Overall, the two sides counted six meetings between the two leaders, with four of them being one-on-one. The first restricted meeting was at the museum on Friday, followed by the tour of the artefacts. Their officials joined them for talks and dinner at the East Lake Guesthouse. This morning, they walked along the green waterfront of East Lake, took part in a tea ceremony, chatted on a houseboat and continued their conversation over lunch. 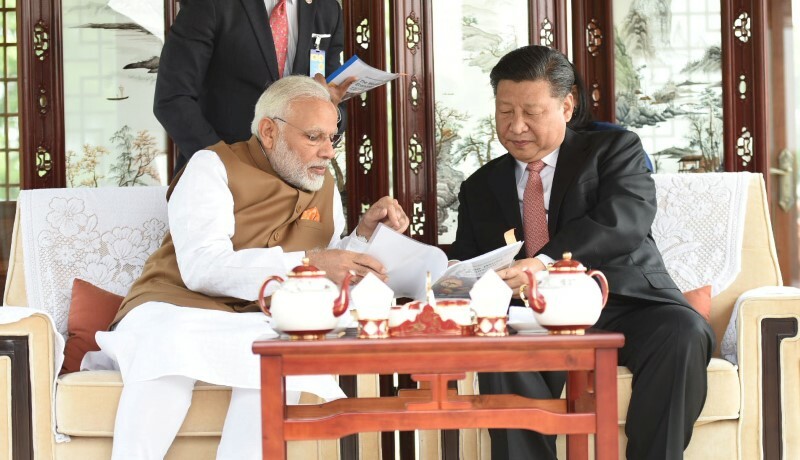 There was a sense of déjà vu at Wuhan – the two leaders have had similarly photogenic encounters at their hometowns of Ahmedabad and Xian – but the main difference in the current ‘informal’ iteration of those summits was there were no agreements inked or joint statements issued. Instead, both sides organised separate media briefings and issued their own press releases. Speaking to reporters just before the Indian delegation left Wuhan, foreign secretary Vijay Gokhale said that an “important takeaway” was that “this kind of arrangement between the two leaders of informal meetings where they discuss issues of common interest will continue”. In his opening remarks at the delegation level talks on Friday evening, the Chinese president had called for further ‘informal’ meetings from “time to time”. The Indian prime minister reciprocated and hoped that the next one would be held in India in 2019. “The other important takeaway is the agreement between them that greater strategic communication at the leadership level and at the level of the two governments allows for a free and frank discussion on all matters of interests,” said Gokhale. He noted that the two leaders agreed that “India and China, as major powers with strategic and decisional autonomy, will pursue peaceful, stable and balanced relations and such a relationship will be a positive factor for stability amidst the current global uncertainties”. Echoing his Indian counterpart, Chinese vice foreign Kong Xuanyou described the visit as a “milestone” in bilateral ties. He told reporters that President Xi had said the problems between India and China were of a “limited, temporary nature”. According to Reuters, Kong noted that both Asian countries have “concrete differences but the summit was not aimed at addressing these specific issues”. In answer to a query, India’s senior-most diplomat also said that no specific issues, like Indian membership of the Nuclear Suppliers Group and the UN listing of the Pakistan-based terrorist Masood Azhar were discussed. Instead, it will be left to the 20-odd institutional mechanisms which exist bilaterally to thrash out a solution to these prickly matters. 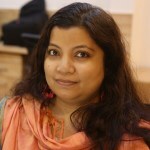 “[Both] leaders also decided that existing mechanisms would be improved and [made] effective and used to address some of these issues,” said Gokhale. The two leaders were meeting in Wuhan about eight months after the 72-day-long face-off at the Bhutan-India-China tri-junction was ‘resolved’. Not surprisingly, the pending boundary issue was rather high on the priority list. “On the issue of India-China boundary questions, the two leaders endorsed the work of the special representatives (SRs) in their effort to find a fair, reasonable and mutually acceptable settlement and the two leaders also underscored that in the meantime, it is important to maintain peace and tranquillity in all areas of the India-china border region,” said Gokhale. He noted that the parameters of the discussion between the SRs have already been established and talks were in the “second stage” of resolving the boundary dispute. The language Gokhale used was boilerplate bilateralspeak, and indicates the two leaders have not been able to move the boundary issue beyond where the two SRs have brought it after 20 rounds of discussion over 15 years. However, Modi and Xi did agree to give operational instructions to improve communication between the two armies, so as to prevent border incidents from escalating into diplomatic crisis. “To this end, the two leaders decided that they would [advise] strategic guidance to their respective militaries to strengthen communication, to build trust and understanding, to implement various confidence building measures which have already been agreed by the two sides and to strengthen existing institutional mechanisms to prevent and manage situations in the border areas,” said Gokhale. This was also mentioned in a press release issued by the Ministry of External Affairs. Earlier on Friday, the Chinese defence ministry spokesperson had indicated that “difficulties” in bilateral relations between the militaries will be stabilised following a signal from top. “Despite some difficulties and obstacles in the bilateral military relationship, we are willing to deepen understanding, enhance mutual trust, properly handle differences, and incessantly accumulate positive energy for the healthy and stable development of military ties under the guidance of the important consensus reached between leaders of both countries,” said China’s ministry of national defence spokesperson, Wu Qian. On this topic, the Chinese government’s press release issued on Saturday after the informal summit stated: “The two militaries will strengthen confidence-building measures and enhance communication and cooperation to uphold border peace and tranquillity”. The Special Representatives (SR) will seek a “fair, reasonable and mutually acceptable” solution to the boundary question, it added. Both the Chinese and Indian press notes had similar language – that the two countries have the “maturity and wisdom” to handle their differences through peaceful discussions and by “respecting each other’s concerns and aspirations”. The Chinese press note specifically harked backed to the five principles of co-existence , or‘Panchsheel’, though this was not mentioned in the Indian press release. The two leaders also discussed using their political and economic influence to foster economic development in the region. According to Indian sources, the two countries could explore a joint economic project in Afghanistan. The project has not yet been identified, but it would be finally decided with the help of the Afghan government. Incidentally, this is not the first time that the two Asian powers are considering Afghanistan as a platform for building trust and leveraging their respective advantages. In 2010, the Indian and Chinese SRs had discussed a joint project in the war-ravaged country, but it never fructified. President Xi did bring up his flagship ‘Belt and Road Initiative’ (BRI), which Gokhale indicated was in the context of both sides speaking “of their respective efforts to contribute to regional and global economic development”. India has been wary of China’s BRI, since it believes the connectivity project has strategic objectives, rather than being a purely economic proposal. Publicly, India has mainly argued that it opposes BRI as it violates Indian sovereignty by routing the China-Pakistan Economic Corridor through Indian territory currently under the occupation of Pakistan. Answering a question, Chinese vice foreign minister Kong said that China “does not think it is important whether India accepts China’s Belt and Road infrastructure project and China won’t force it to”. It is not clear from these remarks whether India’s concerns about BRI projects in third countries being a threat to Indian security have been addressed. India’s priorities – like terrorism and the yawning trade surplus – was highlighted by Gokhale and also found mention in the MEA press release. “The prime minister and president also recognised the common threat of terrorism. Both reiterated strong condemnation and resolute opposition to terrorism in all its forms and manifestations. And both committed to cooperate further in counter-terrorism,” said the Indian foreign secretary. The issue of terrorism was mentioned by the Chinese side as one of the global challenges that both side will cooperate on. “Both sides agree to promote more active regional and international cooperation. They agree to join hands in offering innovating and sustainable solutions to global challenges such as epidemics, natural disasters, climate change and terrorism,” said the Chinese minister of foreign affairs’ statement. The Indian prime minister raised the matter of “balancing trade”, with more access for agricultural and pharmaceutical exports. While bilateral trade volume has ballooned to $84 billion in 2017, the trade deficit in favour of China stands at a whopping $51 billion. While the Indian press release also spoke of building an “open, multipolar, pluralist and participatory global economic order”, there was no statement of explicit opposition to “protectionism”, unlike the Chinese communique. The two leaders also stressed the need for more people-to-people exchanges. “Both leaders felt that while exchanges were going on, these were fragmented to some extent and it was important that the trust and understanding between the two governments/two leaders should find their way to the people, to public opinion,” said Gokhale. The Indian foreign secretary pointed out that there had been a “great effort” by both countries to ensure the relationship was “positive” and that the leaders had a “certain comfort level in being able to communicate frankly” during the informal summit. “While I agree that there have been positive vibes from the Chinese side (in the run-up to the summit), you will agree that there have been equally positive vibes from the Indian side,” he said. Last month, the foreign secretary issued a circular advising Indian officials against attending events to mark 60 years of exile of the Tibetan spiritual leader, the Dalai Lama. Official sources had claimed that events to mark the exile would have been political in nature and violated the 1988 understanding reached between India and China. At Wuhan, the Chinese vice foreign minister told the media that “China does not think the Indian government has changed its official position that Tibet is a part of China”.